The full lineup for Glastonbury 2010 has been confirmed by Michael Eavis, who has declared it "staggering". 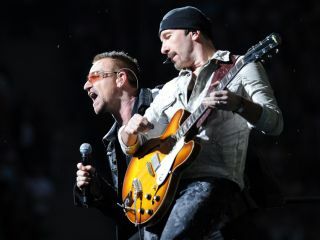 As expected, it's an eclectic mix of legends and contemporary stars, with the likes of Slash, Snoop Dogg, the Pet Shop Boys and Willie Nelson set to appear alongside The Flaming Lips, Hot Chip, Florence And The Machine, Dizzee Rascal and Pyramid Stage headliners U2, Muse and Stevie Wonder. Read on for the full Glastonbury 2010 lineup or visit the official Glastonbury Festival website for the latest additions to the bill.